Pull of a great prank with the good ole’ Knife Through Head headband trick. 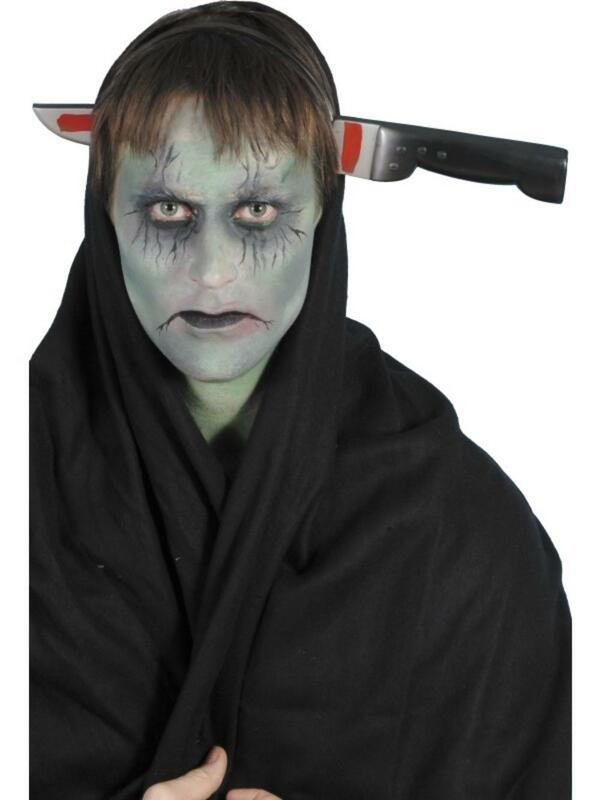 Feel the pretend assault of this realistic knife going through your head with the blood stains on the blade. Startle friends as you continue to walk in this condition at Halloween or slasher themed fancy dress costume parties.